Craig Levein made two changes to the United midfield following last week’s well deserved draw with Celtic at Parkhead. After his sending-off, Scott Robertson was suspended while Morgaro Gomis failed to shake off an Achilles problem which had hampered him all week. As a result in came winger Craig Conway and David Robertson to fill the void left behind. It was third versus fourth as both teams entered the match in confident mood following a strong start to the season. From the off, play was mainly directed towards the Motherwell goal however all that could be conjured up from the hosts’ early period of superiority were a few set pieces which came to nothing. With the game having been broken up by a sequence of fouls, United tried to alter proceedings with a lovely passing move involving Goodwillie, Robertson and Dillon. In the end the Irishman’s ball into Cadamarteri was just out of reach as ‘Well keeper John Ruddy gathered. With just over a quarter of the game gone, United almost gave the visitors a massive break when a simple headed backpass eluded Weaver and rolled towards goal. Luckily Andy Webster was alert enough to get back and clear the danger. Cadamarteri then had United’s best effort up until that point but after cutting inside Steven Saunders he just could get enough curl on his shot to trouble Ruddy. Cadamarteri was again involved moments later as his surging run and cross from the right gave Goodwillie a decent opportunity but the youngster headed wide from close range. As the Tangerines began to press, Swanson then shot from 20 yards but the effort was slightly mishit enabling Ruddy to hold easily. Motherwell hadn’t been any real threat going forward but ten minutes before half time, Weaver had to be alert to turn a free kick from the edge of the box away from a crowded United penalty area. Despite the hosts being well on top, the closest thing to a goal came from Motherwell and Weaver did superbly well to turn a raking shot from sub Lucas Jutkiewidz away from the top corner of the net. David Goodwillie was then sent clear directly from Weaver’s clearance but after running full 40 yards the United hitman was closed down by several defenders and sent his shot wide of target under pressure. At half time it remained goalless and neither side had reached anywhere near the level of play they had both shown recently however United had been the more dominant force going forward. Despite this they had to thank Nicky Weaver for keeping the scores level following his spectacular save. 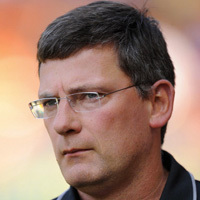 Craig Levein was forced into a substitution early in the second half as Paul Dixon was withdrawn after appearing to sustain a cut above his left eye. As a result Sean Dillon switched over to left back and Mihael Kovacevic came on at right back. The move to other side of the field didn’t affect Dillon, who had been a threat all afternoon, as again he probed at the Motherwell defence down the left wing. With no options in the middle, he cut inside and worked space for a shot only to see the ball blocked for a corner. 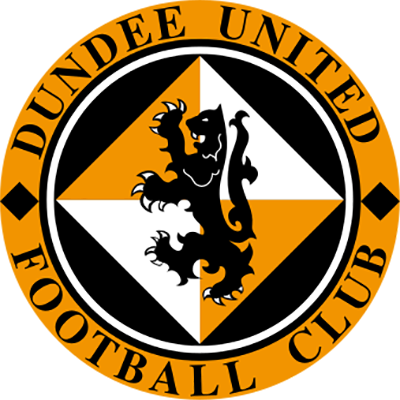 United began to probe at the visitors’ defence again and Goodwillie was close to latching onto a Dods knock down following a cross field ball from Buaben, but Ruddy just got to the ball before him. 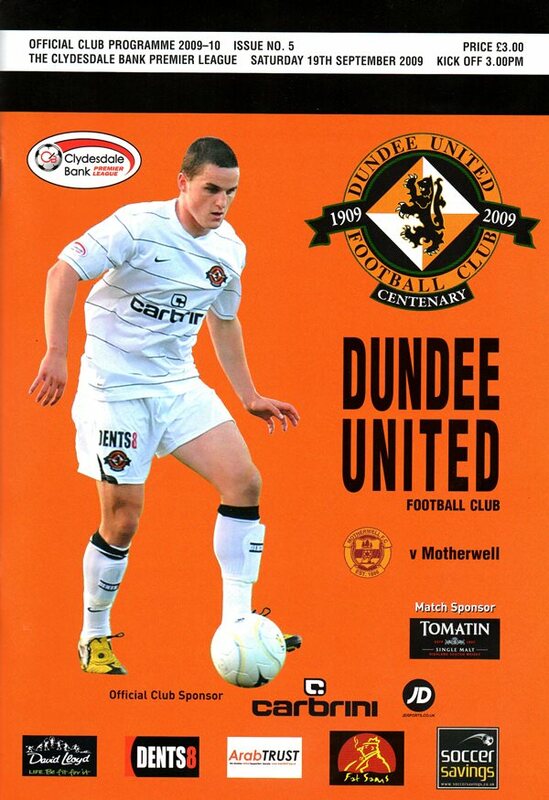 Disaster struck for United midway through the half when United gave away possession to O’Brien deep in the United half and as the Motherwell winger raced into the box he was upended for a clear penalty. Youngster Ross Forbes stepped up to take the kick and just placed the ball into the bottom right corner out of the reach of Weaver. In the 70th minute United came within a whisker of levelling the game only to be thwarted by a fine double save from Ruddy. 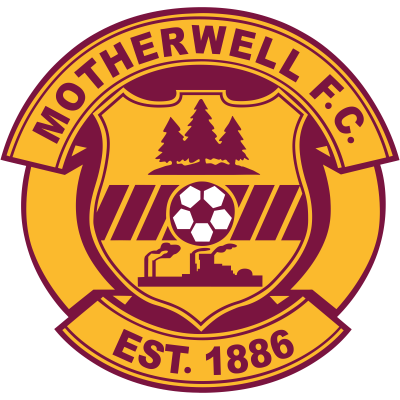 A Conway free kick from the left was turned towards goal by Darren Dods and the Motherwell keeper expertly turned the ball away from goal. Cadamarteri pounced on the loose ball but couldn’t work space for a shot and finally the ball broke to Webster whose shot on the turn from inside six yards was somehow again blocked by Ruddy. With a few minutes remaining Buaben struck a fierce long range shot which the superb Ruddy did well to turn over for a corner as the hosts desperately tried to turn the game back their way, but it was not to be for United as the game ended in defeat for the first time this season. Although pleased with the way things went in preseason, until you start playing competitive games, you are never really sure where you stand. But overall I am happy enough to have picked up four points from the first two games, particularly as we won the Hearts game. There was a lot of pressure on the boys after the way we started last season. But they showed a positive mental attitude to the whole thing and took the game to Hearts from the start, and although Hearts did have scoring opportunities, I felt that we deserved to win the game. It was a good start and something we certainly didn't manage twelve months ago. And whilst only drawing at Paisley Last week, we always knew it was going to be a hard game. It was their first game of the season and Houstie and Gaz had watched them against Easter Road and up until they went down to ten men, Saints were the better side and had chances. And despite playing all bar 15 minutes with ten men, they only lost 2-1, and eventually it might prove that it wasn't a disaster to only take a point from our first visit to St Mirren Park. Once again I couldn't fault the lads for effort and never looked like losing a goal. We were pretty compact the whole team worked really hard. Danny Cadamarteri played with a throat infection, and in hindsight, it might have been better had I left him out. So with coming through Tuesdays Co-op Cup tie at Alloa in which we were pretty focused for the whole game and moved the ball around well, there are few complaints so far, especially as we kept a third clean sheet. I made a few changes for the game at Recreation Park to protect the players who have had knee problems like Danny Swanson. Meanwhile, Andy Webster has played so few games over the past three years that one game a week is enough for him just now, so they come back into the reckoning this afternoon. With so many managerial changes in the SPL over the summer, every second or third game we'll be playing a team under new management and Falkirk, whom we welcome this afternoon, are one of them. Obviously with what Yogi Hughes did for the club over the years, Eddie Mav has a hard act to follow, but, of course, he was part of that, helping particularly on the youth side of things. They have a lot of good young players coming through and that is one of the reasons why he was given the job. In addition. I know his assistant Steven Pressley very well having worked with him at Hearts and stilt speak to him on a fairly regular basis, whilst Alex Smith is an absolute gentleman and a fount of knowledge of the Scottish game. So it looks like a good managerial trio who'll be Learning as they go along. They have a lot of new players in and a lot of changes generally within the club and whilst they haven't got off to a great start, losing both matches, those results don't tell the full story. I have seen their games, and against Hibs last Saturday, they played realty well in the first half when they were the better side. Indeed had they not lost a goal just before halftime, the outcome may well have been different. Therefore, I am very wary of this Falkirk team. They have youth and pace and enthusiasm plus a sprinkling of experience, so it will be a hard game. But there again, in this division there are no easy games, so we'll have to maintain the same Levels of concentration as we have been in our opening three games if we are to take all three points.